Born in 1961 in Ternopol region, Ukraine. In 1982 graduated National Pedagogical University named after K. D. Ushynsky, Department of art graphic, Odessa. Works in genre of painting. Lives and works in Kiev. A permanent participant of International symposium of contemporary art "Biruchiy". 2016 The Box, KARAS GALLERY, Kyiv, Ukraine. 2015 Time for dinner, Gallery "HudPromo", Odessa, Ukraine. 2014 Facebook, "Gallery 45 on the Spassky", Mykolaiv, Ukraine. 2011 Storks, KARAS GALLERY, Kyiv, Ukraine. 2010 Brigade, KARAS GALLERY, Kyiv, Ukraine. 2009 It is time to have a dinner, painting, KARAS GALLERY, Kyiv, Ukraine. 2008 Art-prom, painting, KARAS GALLERY, Kyiv, Ukraine. Beatlemania, "Da Vinci" Gallery, Kyiv, Ukraine. 2007 Big City Life, Leonardo Business center, Kyiv, Ukraine. Soot, ART-Moscaw, 45 Gallery, Moscow, Russia. Biryuk, Artists Union Gallery, Zaporizhya, Ukraine. 2006 Seasonal migration, "Na Spasskoy" gallery, Mykolaiv, Ukraine. 2004 Victor Pokidanets, CercleMunster, Luxembourg. 2003 Utopia, art-project by "Monday" newspaper, Kyiv, Ukraine. Invocation of the Karmapa, "L-ART" Gallery, Kyiv, Ukraine. 2002 Living world, "L-ART" Gallery, Kyiv, Ukraine. 2000 Art-expo 2000, New York, USA. 2017 ART WORK, Dworcowa gallery, Wroclaw, Poland. ART WORK, Mystetskiy Arsenal, Kyiv, Ukraine. 2010 We teach to bad, KARAS GALLERY, Kyiv, Ukraine. 2008 Desk, painting, KARAS GALLERY, Kyiv, Ukraine. 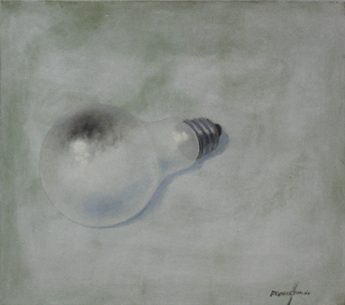 2001 "…", International Artexpo, New York, USA. "…", European Contemporary Art at the Point of Intersection Between Cultures and Nations, Foundation of Mazura-europe, Ryn, Poland. 1999 Different years works, International bank, Kyiv, Ukraine.